Things are looking good for Saturday (thank you climate change…). 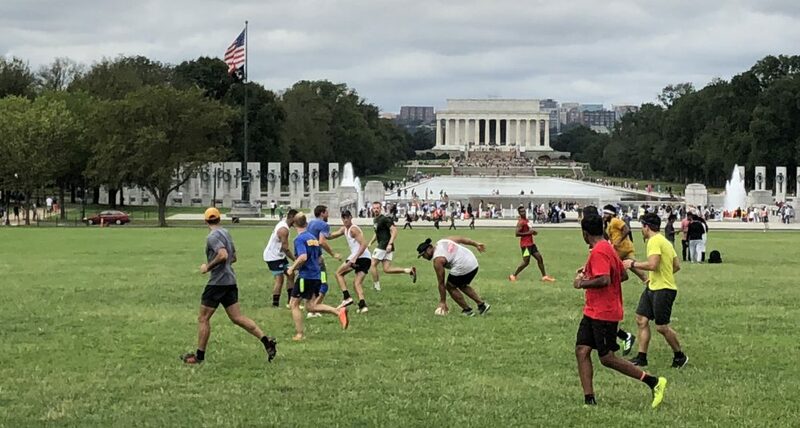 So if you’re hanging around DC this weekend, rugby’s on. Some of you have friends and family interested in playing so feel free to bring them out to the pitch. I’m out again, and once again next week, FYI. Slim, for now. I don’t want to disrupt things while I’m not there and have yet to get a sense of a willingness to change fields by the rest of the players. But, I’m not opposed to changing things for the better going forward in a couple of weeks if others are keen and it’s as accessible as the current spot. Where is the field exactly? Ill be there with my brother so we’ll have at least 2! I’ll try to bring a ball but anyone else who has one please bring. Don’t be afraid of the doctor, get an appointment yearly!